The company behind the Opuha Dam said yesterday’s release of water was an “interesting test”, but is not sure whether it has solved the build-up of didymo. Yesterday, it had planned to release up to 40 cumecs, about four times the Opihi River’s average flow, but Opuha Water chief executive Tony McCormick said it had only got up to 32 cumecs. “It didn’t quite go to plan, but it was still a very good test of our systems,” Mr McCormick said. Opuha Water collaborated with Environment Canterbury and the National Institute of Water and Atmospheric Research (Niwa) on the controlled release. 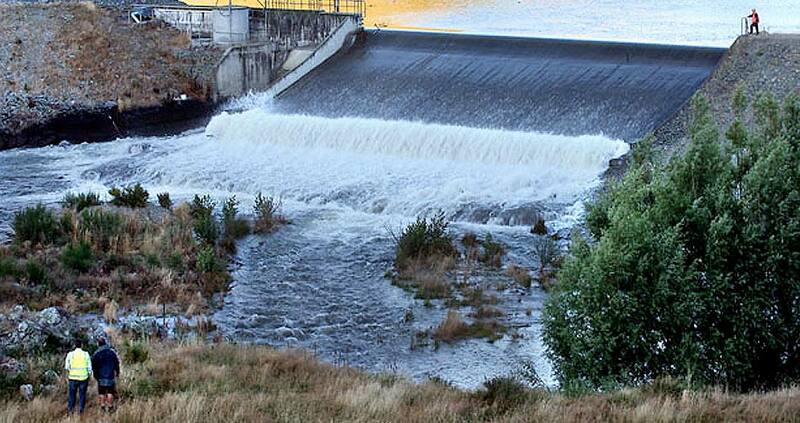 Recently there have been complaints about the level of didymo in the system just below the dam, while public health officials have advised people not to swim near the extensive toxic algal growths observed in the Opihi River. Mr McCormick acknowledged the release was not large enough to address the toxic algal growth, but hoped it would have cleared some of the didymo. “To really roll the rocks over, as it were, you need a proper flood of about 200 cumecs,” he said. Mr McCormick said Niwa would assess the Opuha section of the river in a few days. However, he said the summer had been brilliant for the company, with the dam at close to 100 per cent reliability for irrigation supply. It had also generated 24 gigawatt hours since July- more than 50 per cent above average.